I am sooooo looking forward to this one!! It looks super good!!! Love the cover! I read all of this author's books, and I now want to read this one. This one looks so good. I love the cover art as well..So pretty. 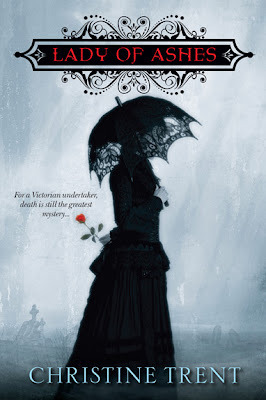 How incredibly unique to find a book about a female undertaker. Add to that the intrigue of arms selling during wartime and I am totally hooked. This novel is a must read for me. Thanks for sharing, Amy. What a fantastic cover! I really enjoyed her last book so I'm looking forward to this one.